At Gettysburg Farm RV Camping, you'll find a beautiful working farm situated on 120 sprawling acres bordered by Conewago Creek. 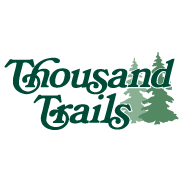 This Thousand Trails Central Pennsylvania RV campground is centrally located between York, PA and the battlefields of Gettysburg near the quaint, historic town of East Berlin. On the farm, your children can feed and pet the animals, and watch the planting and harvesting of crops. Take the opportunity to travel to the nearby Gettysburg battlefields and learn about the history of the American Civil War. Your Gettysburg Farm RV Camping vacation itinerary will be filled with fun, learning and the natural beauty of the Pennsylvania countryside. Whether you just want to relax poolside, let your children participate in the organized activities, or go on day trip excursions, our Central Pennsylvania RV campground gives you a great selection of options.